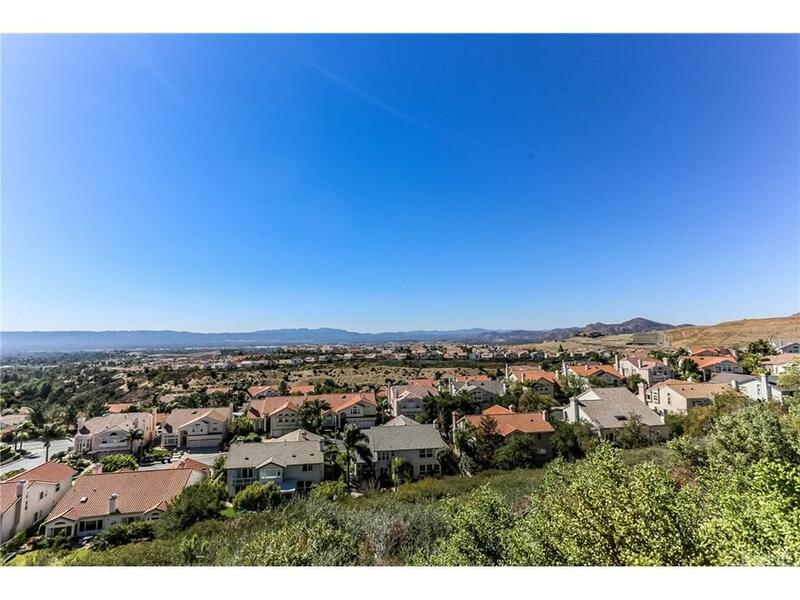 HUGE PRICE REDUCED......WELCOME TO PORTER RANCH! VIEW VIEW VIEW****** UNOBSTRUCTED 180 DEGREE VIEWS!!!!!! THIS REMODELED 4BED+4BATH+SPACIOUS BONUS ROOM BOASTS 4018SQFT LIVING SPACE WITH A LOT SIZE OF 16964SQ. BUILT IN 1999, THIS SPACIOUS OPEN FLOOR PLAN HAS HIGH CEILINGS, GOURMET CHEF?S ISLAND KITCHEN WITH GRANITE COUNTER TOPS. WALK IN PANTRY. FORMAL DINING ROOM. LIVING ROOM WITH FIREPLACE***** 1 BED+ 1BATH IS LOCATED DOWN STAIRS FOR YOUR IN-LAWS OR NANNY. MASTER SUITE WITH RETREAT, BALCONY, CUSTOM WALK IN CLOSET, AND SPECTACULAR VIEWS UPSTAIRS. SPACIOUS BONUS ROOM IS PERFECT FOR USE AS A GAME ROOM OR 5TH BEDROOM WITH BUILT IN CABINETS, WET BAR, AND FIREPLACE****** PRIVATE AND PEACEFUL BACK YARD HAS A BUILT IN BBQ, POOL, SPA, AND CUSTOM KOI POND**** CLOSE PROXIMITY TO PORTER RANCH SHOPPING CENTER AND THE NEW VINEYARDS SHOPPING MALL COMING IN 2019. YOU DO NOT WANT TO MISS OUT ON THIS GEM. Sold by Richard Ellis BRE#01735726 of Pacific Home Brokers. Listing provided courtesy of Jane Kim DRE#01735726 of Best Realty & Investment, Inc.